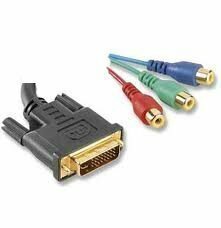 DVI (Digital Visual Interface) is a connection standard that can send uncompressed digital signals from one device to another, usually from a DVI DVD player to a High Definition TV or other digital display. Since this technology is fairly new and the fact that many videophiles are either purchasing their first HDTV or upgrading to new HDTV technologies, there has been a debate on whether DVI is better than component. The short answer to whether or not DVI is better than Component is simple – Yes. DVI is generally better than component. Component video is a way to transmit signals from one video device (e.g. a DVD player) to a display such as an HDTV. However, in order to do so the signal must first be compressed to be sent and then uncompressed to be displayed on your HDTV. With DVI, there is absolutely no compression, digital signals are sent in their pure form. The downside to compression and uncompression is that it is possible for a signal to degrade or have errors during these two processes. It should be noted that for most video viewers the difference between DVI and Component video is inconsequential. The reason being is that in order to see the difference, you will usually need either special equipment or high end equipment. For instance, in order to enjoy DVI, you will first need components capable of supporting DVI- in most cases both a DVI DVD player and a HDTV. DVI DVD players are usually very expensive with a price point starting out at about $300. In addition, your HDTV must also support DVI, many don’t, however if you have an HDMI capable HDTV, you may be able to use a converter. In addition, you will also need to purchase a DVI cable. Some cables can cost $100 or more. For the video enthusiast that has high end equipment or would like to get the most out of their home theater experience, DVI may produce a noticeable difference; however this experience can be pricey. For the casual home theater viewer, even with high quality components, you may still not notice any difference compared to component video. For those on the fence on whether or not to jump into DVI, make sure that you have extremely high quality equipment that will enhance your video images enough to support the extra investment. 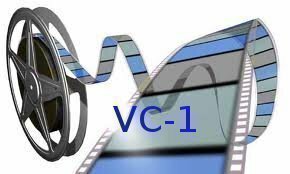 If your equipment is on the affordable or moderate side, or if you are not a video enthusiast, you will probably be more than satisfied with high quality component video. What is the DVI HDTV Connector? What is DVI on Fiber? Is DVI Better than Component? 230 queries in 0.385 seconds.